Searching for audit firms Nashville on the internet can be difficult. How do you know if a firm specializes in audits and can provide the services that you need? PHB CPAs specializes in auditing services and we are widely considered one of the top auditing firms in Nashville, TN. At PHB CPAs we have a different approach to auditing. We’ll come to you and do the audit at your office. We’ll talk to you, let you tell us your concerns and give you some guidance about what you can do to keep the taxman, the bank or your board happy. PHB CPAs conducts paperless audits. If we need a document, we’ll scan it into our file and hand it right back to you. Your documents will always stay with you. When will you know the outcome of your audit? Most of the time, the answer is immediately. The partner in charge of your audit will either be on site or at the office, reviewing the work as it progresses, and if possible, will hand you a draft of the audit as we leave. Then we’ll trot right back to the office to prepare your tax return. We like to tidy up all of the loose ends. This is all nice, but let’s face it, it takes more than a once-a-year visit to really get to know your company and really do your audit justice. That’s why we’re available to go to your board meetings, to meet your owners and employees. We are also available throughout the year if you have any questions. If you have question unrelated to your audit such as bookkeeping or business taxes just give us a call. We are here to help. What if your question is audit related? 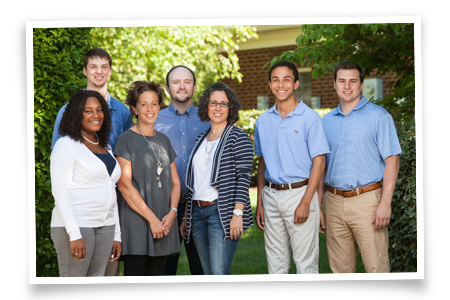 Our audit staff that has over a century of experience in the audit field. We’ve covered every conceivable type of audit, from financial statement audits to Yellow Book audits to Single Audits and their related A-133 compliance issues, we have vast experience in all of it. What if you’re a not-for-profit? We’ll help you, whether the issue is educating you on reading and reporting your financial statements to maintaining your tax exempt status to recognizing when your income is not tax exempt. Whether it’s your first audit or your tenth audit, you’ll receive the same personalized service from PHB CPAs. We discuss any findings with you before blind-siding you with a letter to your powers that be. We review all the ways that you can implement internal controls, but we’re also open to your input. If you think something is too complex or time consuming, we’ll be glad to find another way to skin the proverbial cat. From the day you get the list of what we need to get started, to the day we finally get out of your hair, it’s going to be a wild ride, but like any great ride, it will get better every time you give it a whirl. The more we get to know you, the better your processes will become and the easier your audits will be in the future. Imagine that, an easy audit. You’ll probably even look forward to it after a few years. With our experience, education and most importantly our unique and innovative approach to performing audits, you can feel confident that your audit, placed in PHB’s very capable hands, will keep you compliant year after year. Click here to view our most recent Peer Review.